Wouldn’t you love to be on fire in your life? It’s a beautiful thing to feel as though you are living the life that you are uniquely made to live and that you’re paying your bills doing it! Hi, I’m Tama J. Kieves and I’m the Founder and President of Awakening Artistry, and the bestselling author of This Time I Dance! Creating the Work You Love (How One Harvard Lawyer Left It All to Have It All!) For years, I’ve traveled around the country offering workshops and retreats on creating the work you love and living your inspired life– and here’s one thing I know: The people who make it, are the people who support their dreams. I’m writing for two reasons. Mostly, I want to help more of you let go of fear and start loving your life and making your best decisions with love. And I want to introduce you to an amazing resource, in your backyard, that I hope you’ll utilize…the classes and coaching work of Suzanne Eder, of Solid Ground. If you’re in fear, don’t wait. Hire a coach. Hire a great coach! Fear will color the way you think, the energy you have, the decisions you make, the actions you take and every aspect of the life you create. You wouldn’t hang out with a bad disease untreated. Why hang out with fear untreated? Or confusion? Or feeling stuck? A great coach can help you discover your own true strength and direction and take the tiny steps it takes to create an absolutely fabulous (and recession-proof) life. In our busy world, we need someone who can help us listen to our true desires with compassion and belief, and who can help us find the right steps to make our dreams come true, in ways we may never have imagined. I rarely use my name to endorse someone else, because I’m a fanatic when it comes to excellence, quality, integrity, and just super-coolness. But that’s why I’m so excited to be able to recommend Suzanne Eder to you. Suzanne has mentored trained with me for the last 5 years, so I know her well. Suzanne is the real thing. This woman has walked her talk, and lives a life of vision. She’s grounded and focused. She’s wise and caring, funny, and extremely motivated to support her clients. As coaches go, her rates are very, very economical. Suzanne Eder is a rising star and every one of her existing clients feel as though they have discovered a secret wellspring of good. And they have.  I hope it’s right for you to work with Suzanne Eder and start turning your life around, today. I hope you’ll call her now, right now, before fear talks you out of it. But whatever you do, I urge you to support your dreams, your love, your true life. You deserve all the good that life has in store for you and we need your great love and soul on this planet.